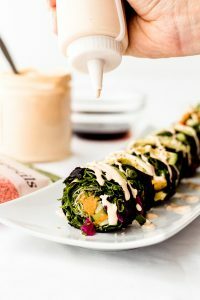 Delicious smoky red lentil rainbow nori roll stuffed with fresh veggies and pulses – topped with a homemade mock eel sauce. 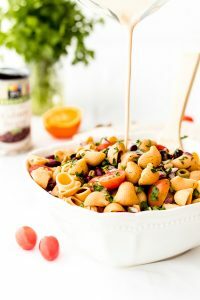 A tasty vegan kidney bean chickpea pasta summer salad loaded with good-for-you ingredients like onions, parsley, tomatoes, and pulses! 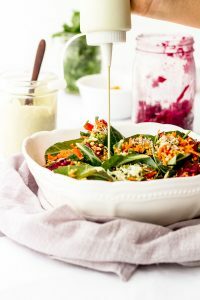 Rainbow vegan collard wraps stuffed with curry quinoa, sprouts, chopped spinach and other veggies.. topped with a mouth-watering oil free cilantro sunflower seed sauce. 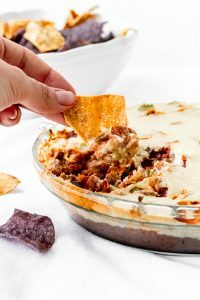 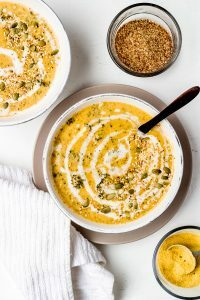 Cheezy Vegan Broccoli Soup recipe that is oil free and delicious for winter – comes together in minutes and only requires one pot.